Limited edition comics are available for purchase while supplies last. 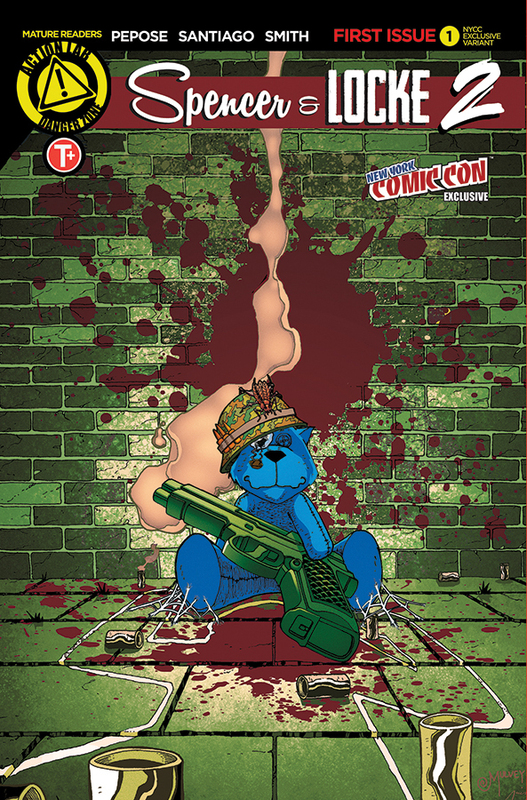 Action Lab Entertainment will be exhibiting several limited edition New York Comic Con exclusives at booth 3044. Regular and Risqué covers are both available. What kind of creature would stalk an idyllic, quiet, small town? None, as far as Betty can tell. But thereâ€™s one little boy in town who is convinced something is wrong. Heâ€™s willing to put up his dead grandfatherâ€™s money if Betty can find the killerâ€¦ and Betty never turns down a bounty. 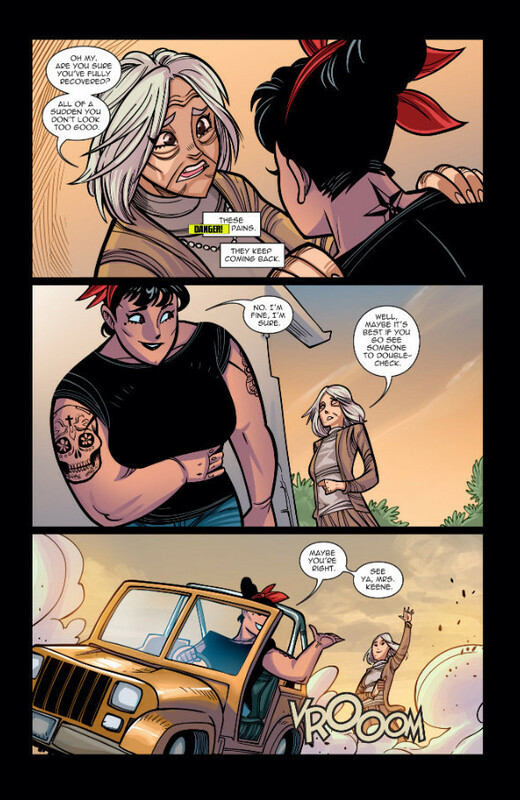 Spinning out of the events of the last DANGER DOLL SQUAD series, and featuring the powers of Zombie Tramp, Vampblade, and DollFace combined, it’s the solo debut of the all-new fan-favorite mash-up character in her own book!! Get an early look at the first full issue that will be previewed later this month during Halloween Comic Fest! The next big Danger Zone series starts here! While Lila and Ivan are away searching for the scale of a green Dragon, Naiimus pays Emily a deadly visit. Will she get the crystals? More importantly, will Emily make it out of the ordeal alive?! Cover Artist(s): Jorge Santiago, Jr.
HIS PARTNERâ€™S IMAGINARY… BUT THE MADNESS IS ALL REAL! Under investigation after solving the murder of Sophie Jenkins, Detective Locke continues to wrestle with inner demons that not even his partner â€” his imaginary talking panther Spencer â€” can contain. This critically acclaimed tale of twisted nostalgia makes its triumphant return, written by David Pepose and illustrated by Jorge Santiago, Jr.! Katie’s managed to get out of the alternate universe she was trapped in. And now she’s gone straight to… HELL!! ZOMBIE TRAMP #53 NYCC 2018 Exclusive First Look! ZOMBIE TRAMP #53 will be available at NYCC, and with two exclusive and very limited covers, plus cards and metal prints, just for comic con! 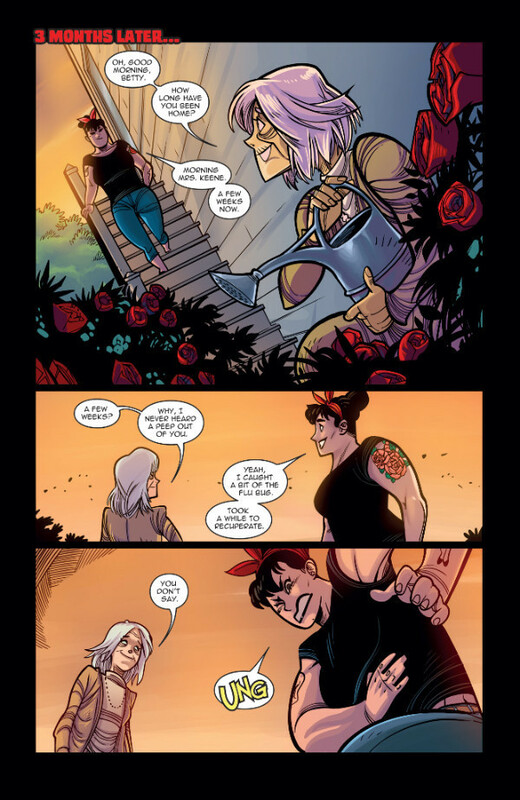 Be the first to see the NEW Zombie Tramp, Angel Lynch, or enjoy the image of the original Zombie Tramp, Janey Bell, as only Dan Mendoza can draw them in both Regular and Risqué versions. 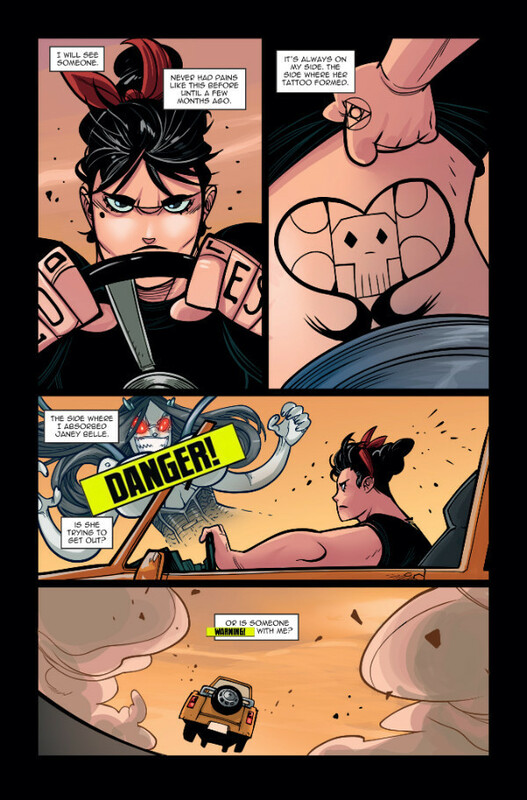 Be sure to visit Action Lab booth 3044 to grab an early, exclusive copy! With Janey still apparently dead, her right-hand man Oscar must go on a quest to figure out how to bring the Zombie Tramp back! 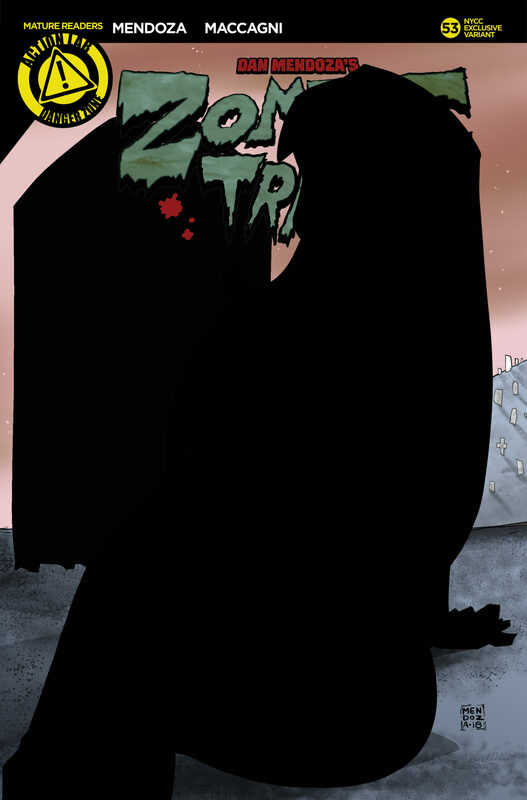 The Zombie Tramp #53 exclusive foil cover will be revealed during NYCC! It will showcase the next person to take on the Zombie Tramp role!